Shop Becka’s favorite shoe designs! 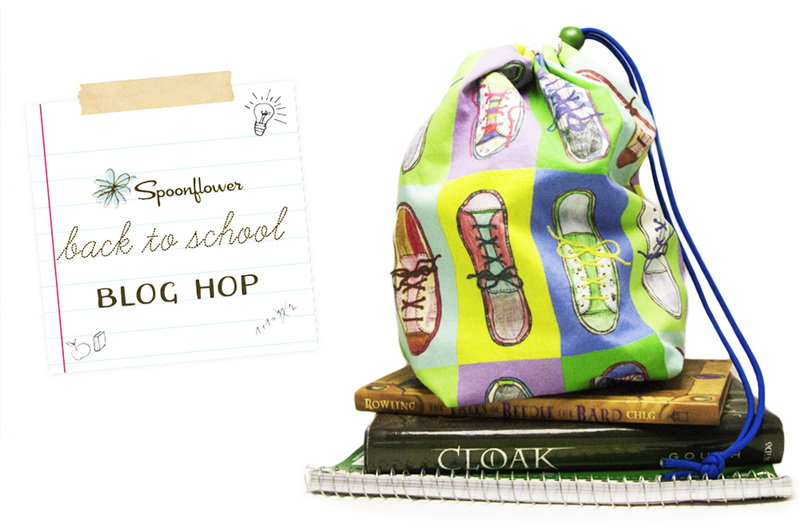 Join the fun by following #SFschooldays and be sure tag your back to school projects! 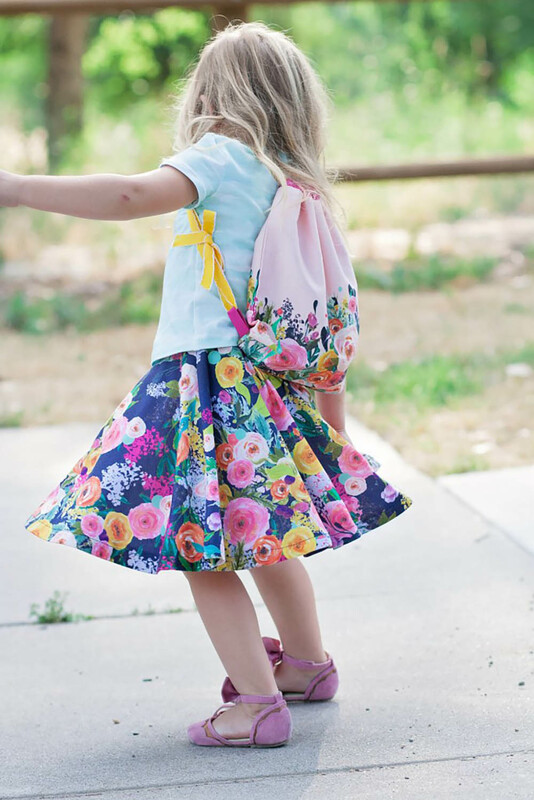 Robin: I originally found Andrie Designs Little Freehand Pack pattern when I was looking for a gift to sew for a friend’s child, but I quickly realized it’s great for adults, too! 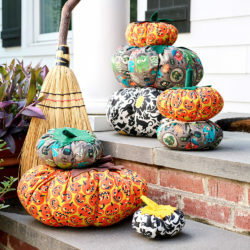 I love how versatile this pattern is. 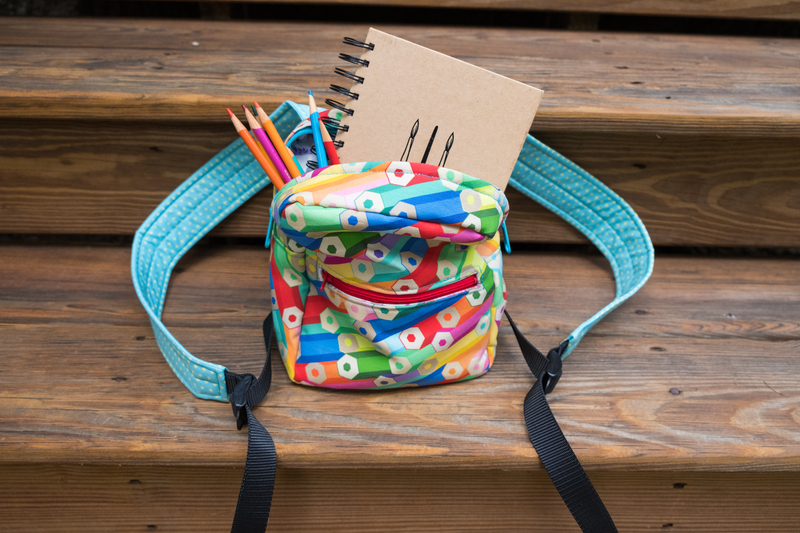 There are several different variations on the straps for the bag so you can customize it to fit your needs. 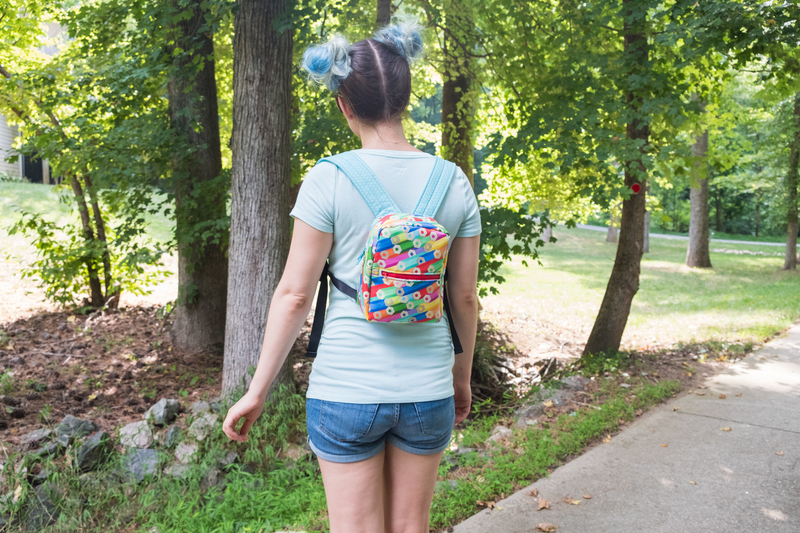 Today I am going to walk you through my process of making the backpack version with adult straps, since I don’t have kids! 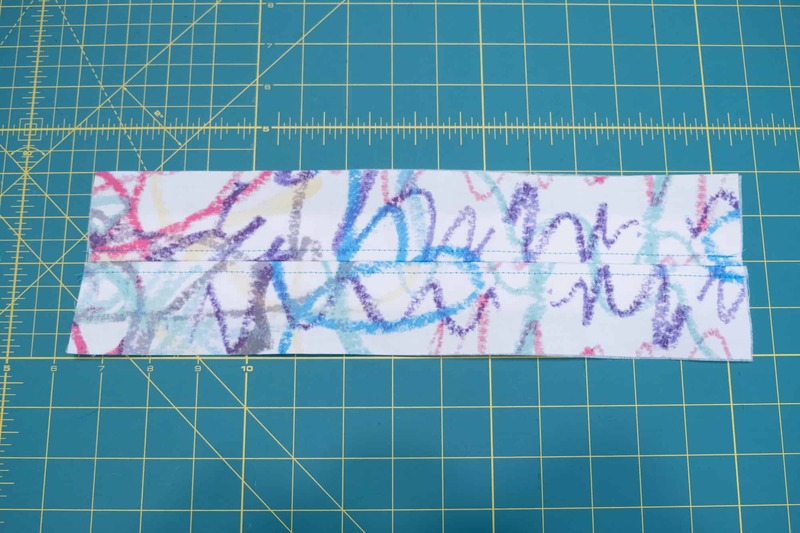 1/2 yard Lining fabric featuring Scribbles and Swirls v2 by jditrimares – Isn’t it a perfect match with my outer fabric! 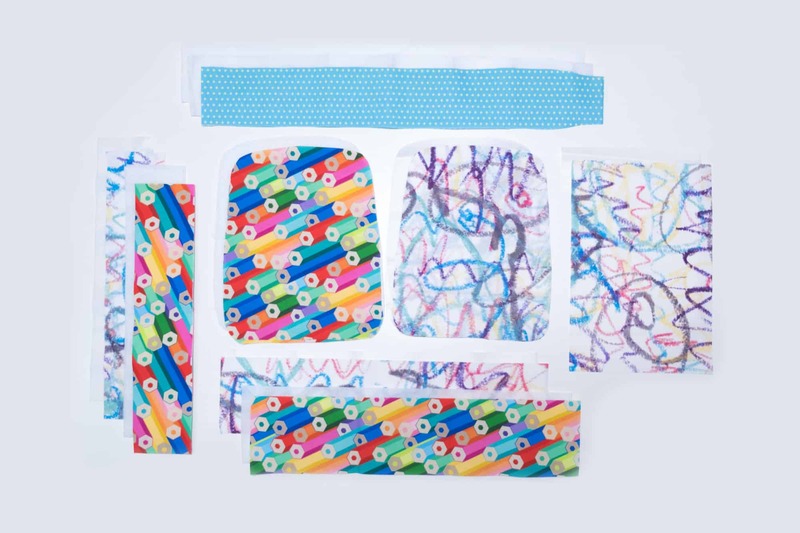 Webbing – I found this brand is a lot sturdier than what you find in local craft stores. I also found a bag of the strap adjusters on Amazon. 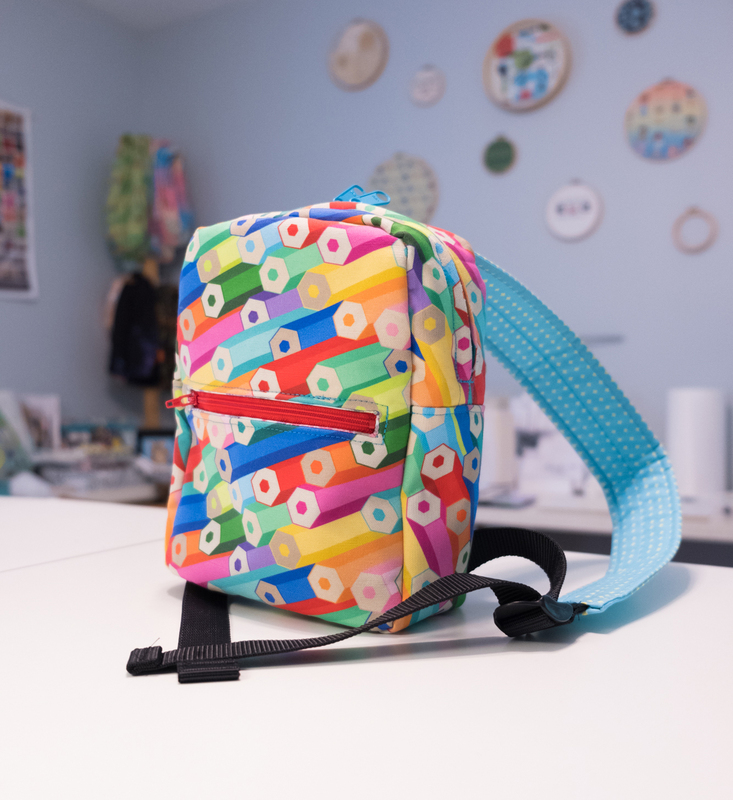 The pattern calls for basic cotton throughout, but I used Spoonflower’s Linen Cotton Canvas for the exterior of the bag because it’s sturdier and can hold up to more wear and tear. I used Basic Cotton Ultra for the lining and straps. 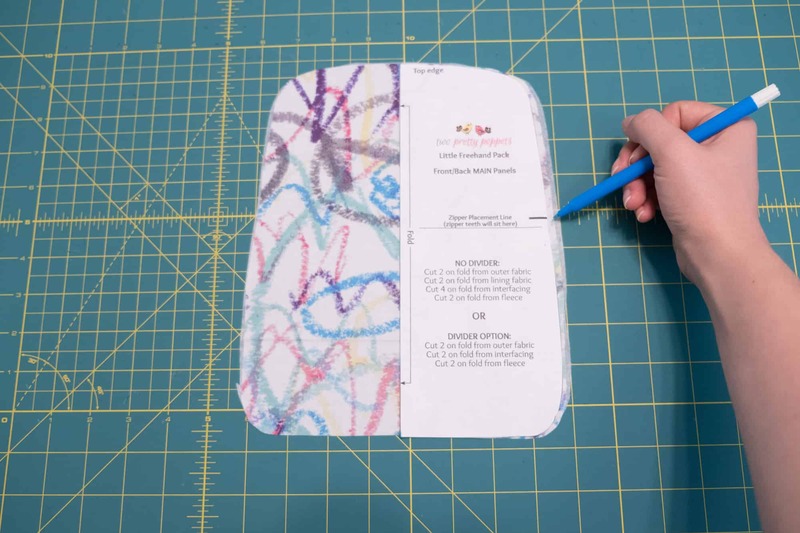 Step 1: Cut the pieces following the pattern instructions and using the templates provided in the pattern. 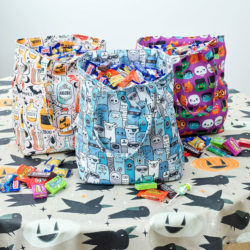 Since I am using Linen Cotton Canvas for the bag exterior which is thicker than what the pattern recommends, I chose not to use the lightweight interfacing on those pieces. I only used fusible fleece for the bag exterior. 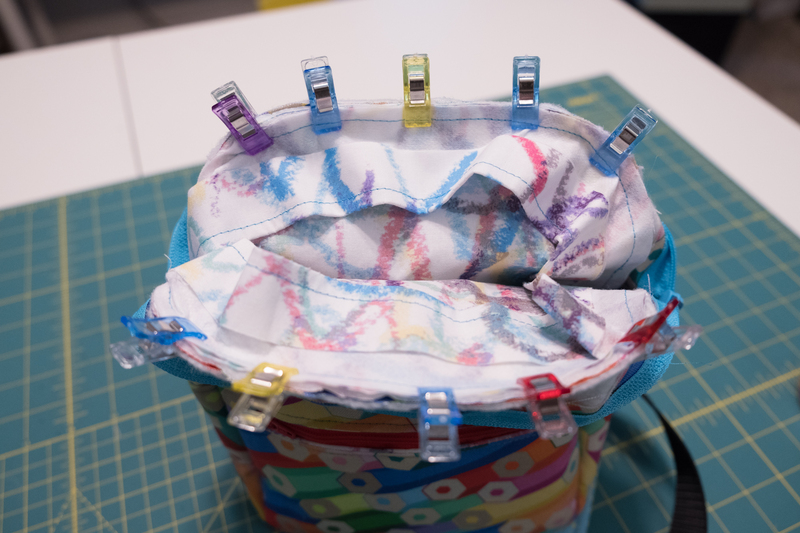 Step 2: Fuse the light-medium weight interfacing to the wrong side of their corresponding fabric pieces. Do not fuse the outer zipper pocket as we’ll do that later. Step 3: Trim a 1 inch seam allowance off one long side of each piece of fleece and fuse by aligning the fleece with each long outer edge of each top panel. 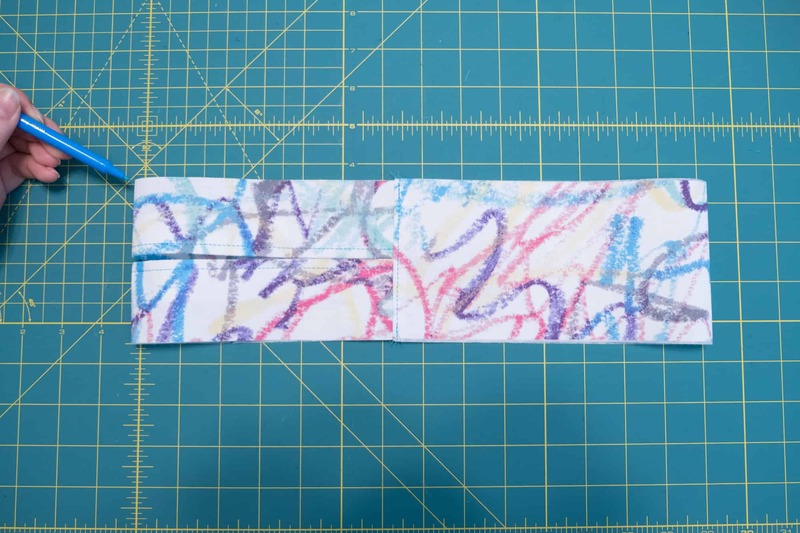 Be sure to leave a 1 inch seam allowance along each inner edge of fabric and interfacing only. The area without the fleece is where the zipper will go. Fuse the remaining fleece to their respective pieces. Step 4: Take the two lining top panels and place them right sides together. 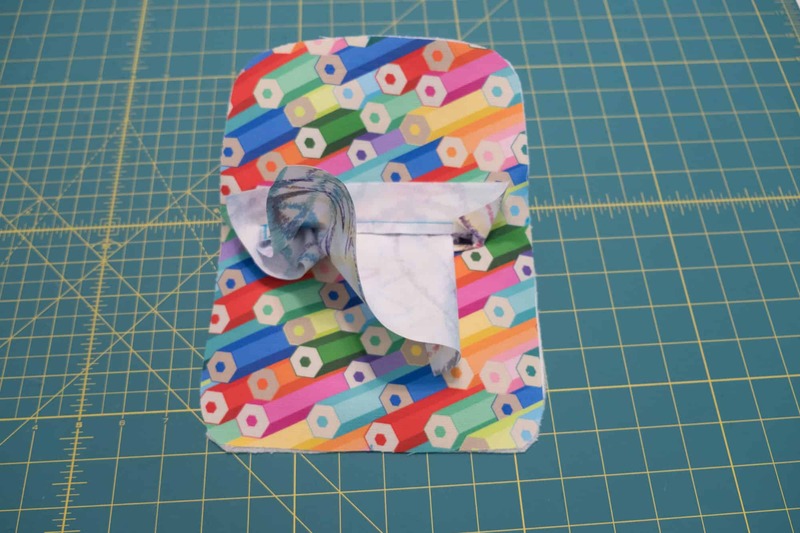 Pin/clip along one long edge and make a mark 1 inch in from each short edge as shown above. Stitch up to the first mark using a 1 inch seam allowance and a normal stitch length. Once you get to the first mark, reinforce well and then increase the stitch length to a long basting stitch. Continue stitching along the seam until you get to the second mark. At this second mark, reinforce well and reduce the stitch length back down to a normal length to finish stitching the seam. Step 5: Press the seam open. Topstitch ¼ inch from the center seam on either side. 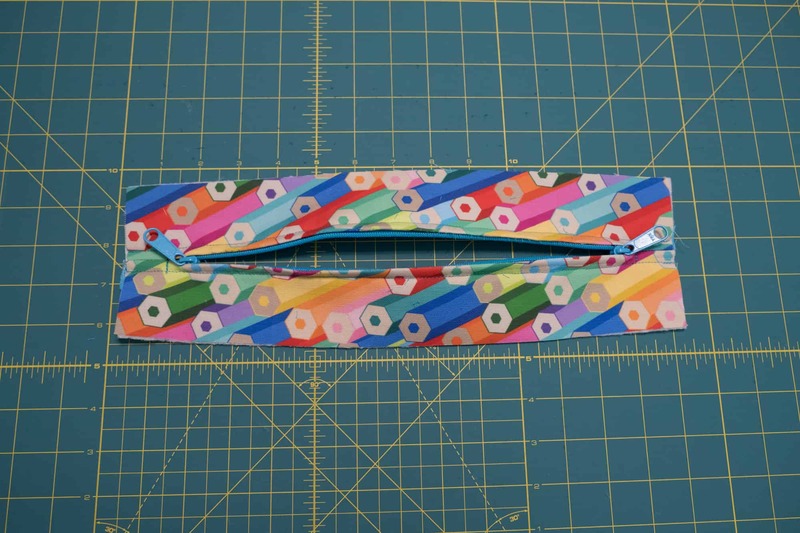 Use a seam ripper to remove the basting stitches from the center seam (leaving the 1 inch seam allowance on either end). Step 6: Lay the completed lining top panel face down over the base panel, right sides together, matching one pair of short edges. 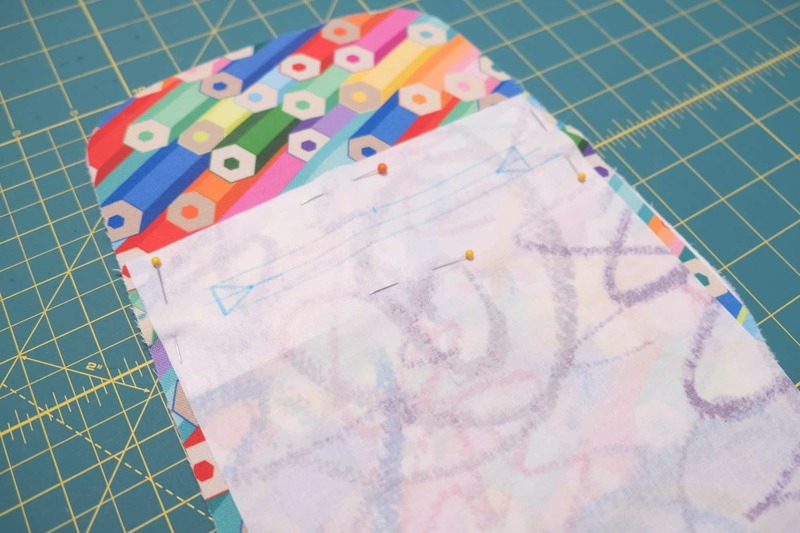 Stitch to join using a ½ inch seam allowance. Trim seam to ¼ inch. 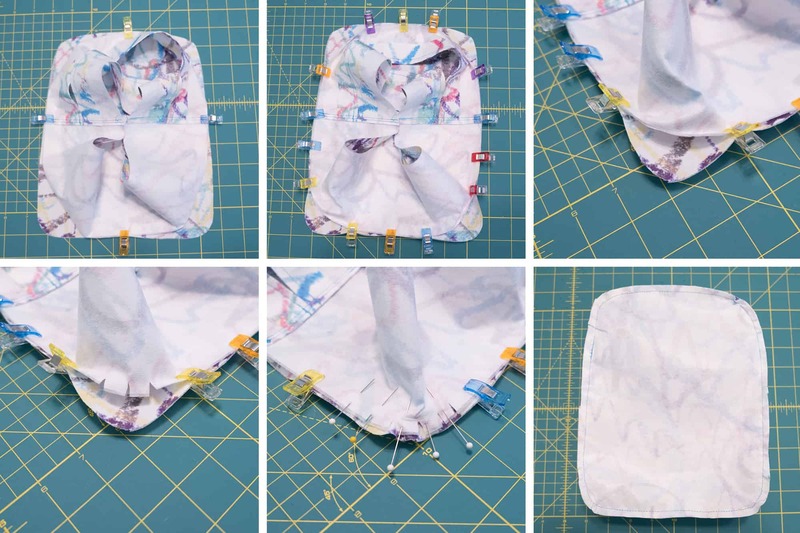 Press down towards the base panel and topstitch in place using a ⅛ inch seam allowance. Repeat to attach the other end of the top panel to the remaining end of the base panel. You will end up with a complete gusset as shown. 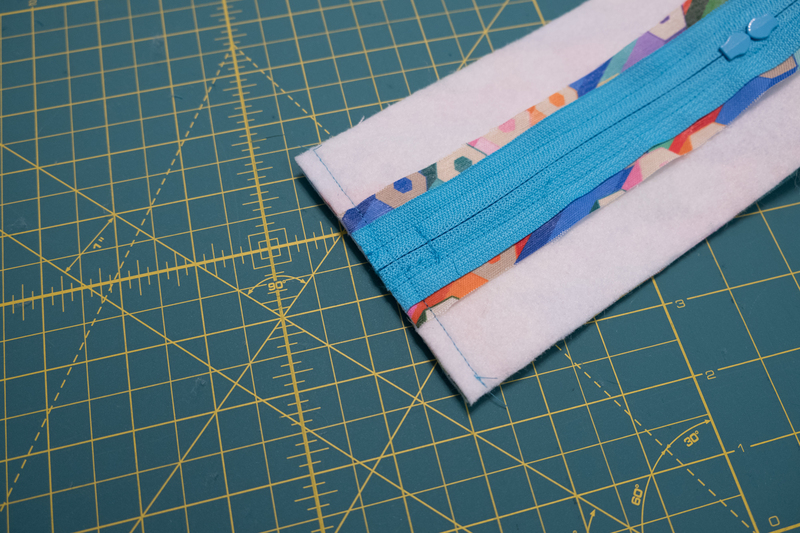 Step 7: Fold the gusset in half by matching up the side seams as shown. 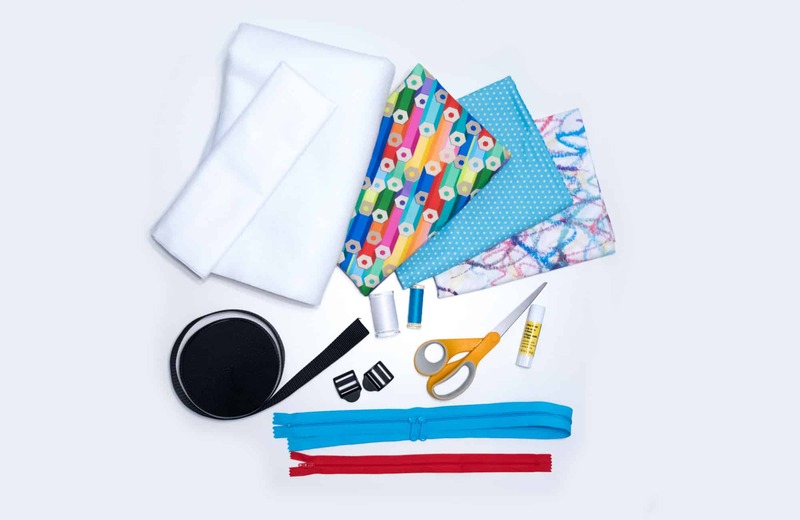 Mark the four outer points where the gusset is folded along both raw edges with a fabric marker. 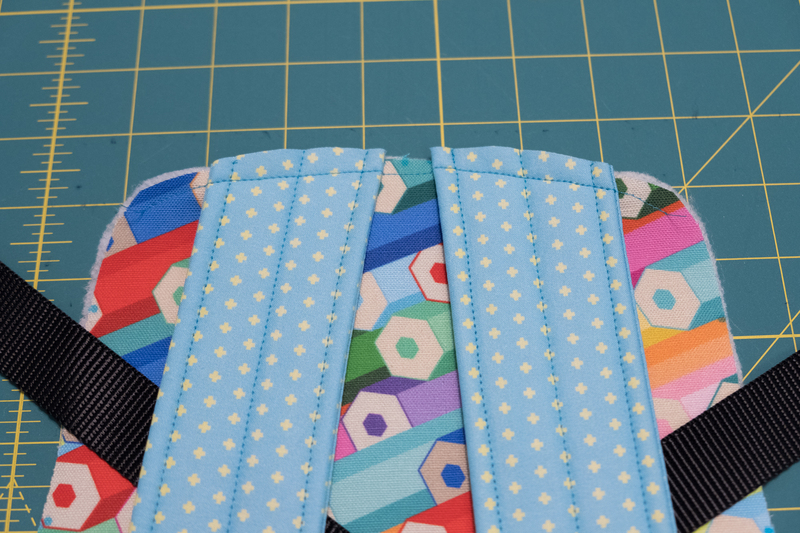 Using the main panel pattern piece, mark the side seam notches on the front and back panels. Also mark the center top and bottom on each panel. Step 8: Turn the gusset inside-out and line up the markings on the top and bottom, and the side seams, to the markings on the side panel. Pin or clip the sides, leaving the corners for last. At each corner, cut a few slits no longer than ⅜ inch. Gently ease the corner of the gusset to match the corner of the panel. Pin or clip in place. 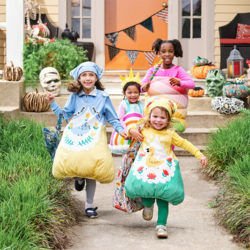 Sew all the way around using a ½ inch seam allowance. Trim seam to ¼ inch. Step 9: Repeat step 8 to attach the gusset to the other panel. Set lining aside. Step 10: Fuse outer zipper pocket interfacing to the bottom of the fabric piece. This is important if the fabric is directional. Mark the interfacing according to pattern instructions. 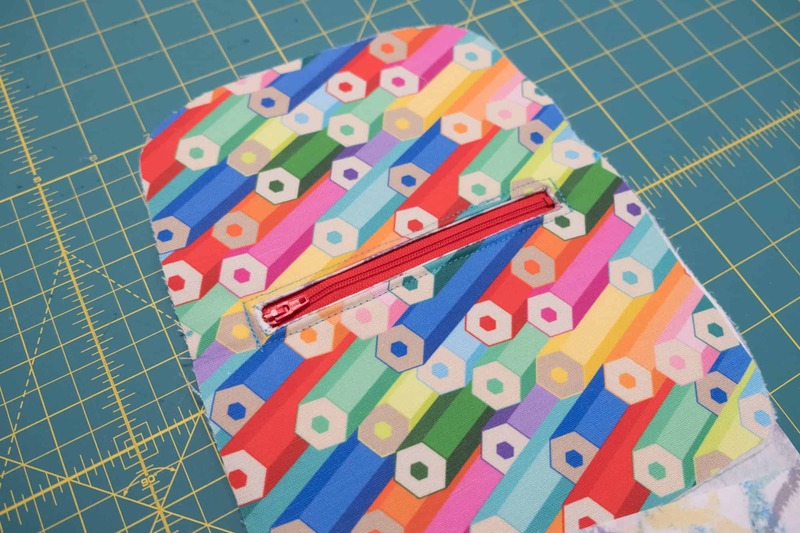 Line up the pocket with the exterior panel piece according to pattern instructions. 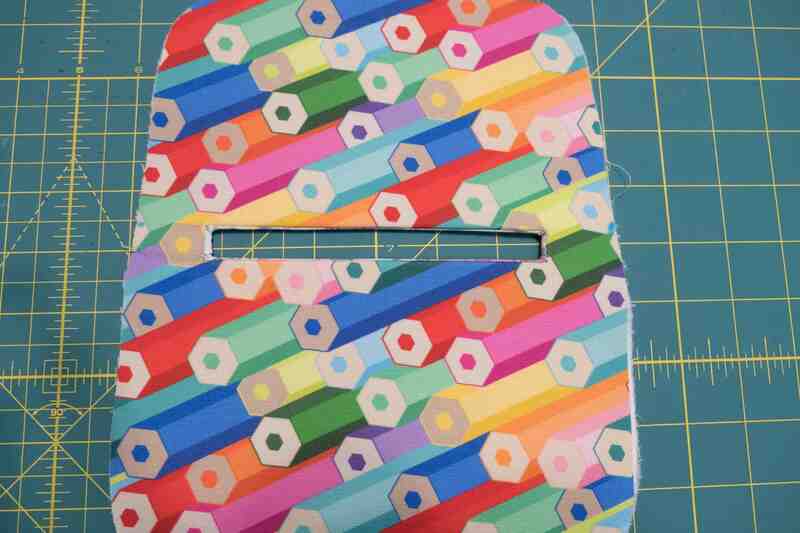 Step 11: Sew along the outer rectangle line. Carefully cut along the center line and diagonal corner lines. Trim away any excess fleece to reduce bulk. Step 12: Push the pocket fabric through the hole you just cut open, so the fabric is on the backside of the exterior panel. Keep working at it and ironing the seam until it lays flat. It’s okay if the lining is a little wrinkled, as this won’t be visible. 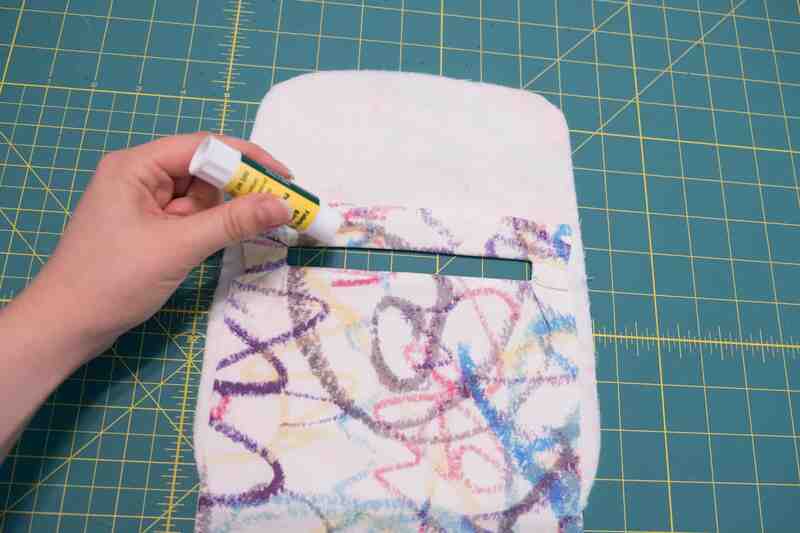 Step 13: Place a strip of glue or wash away tape around the backside of the zipper hole. 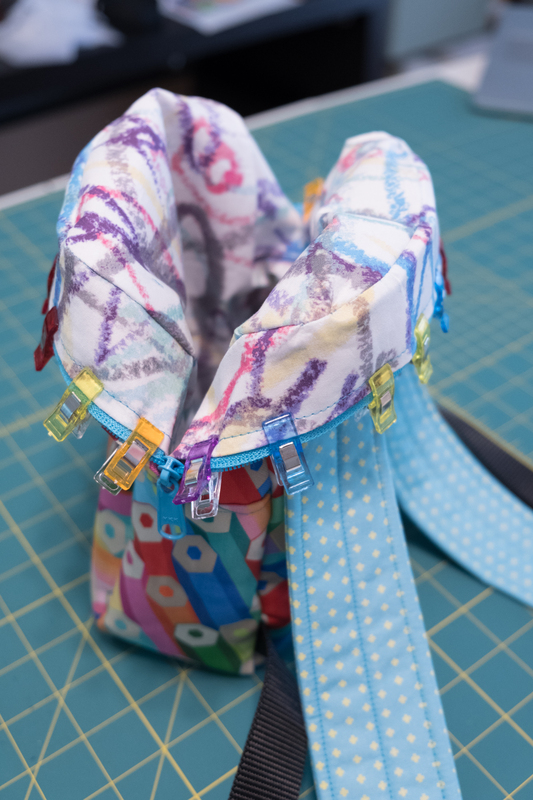 Align the zipper so the metal stopper is at the right side of the hole, and the zipper pull is at the left side. Sew ⅛ inch around the zipper, being careful when you sew over the zipper teeth. 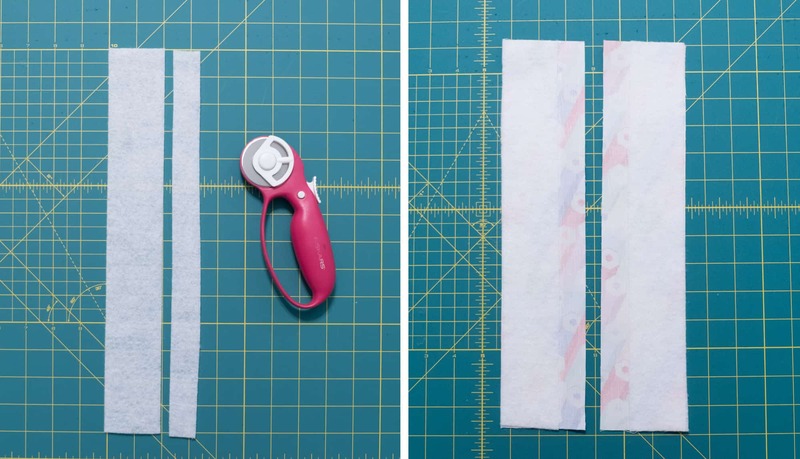 Trim off any excess zipper. Flip the panel over so you are looking at the pocket. Fold the fabric up so the bottom edge lines up with the top. 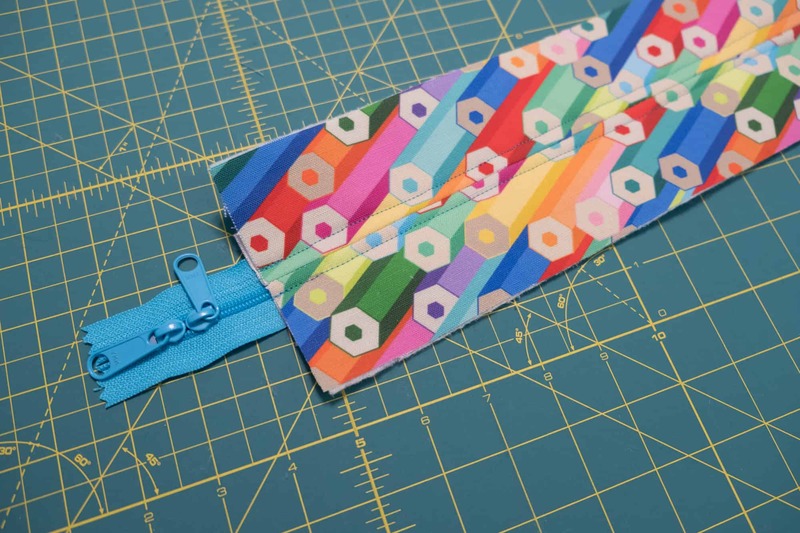 Sew together using a ½ inch seam allowance, making sure you aren’t catching the exterior panel as you sew. Step 14: Take the two outer top panel pieces and pin/clip them right sides together, matching the long sides that do not have the fleece right up against the edges. Make a mark 1 inch in from each short edge. 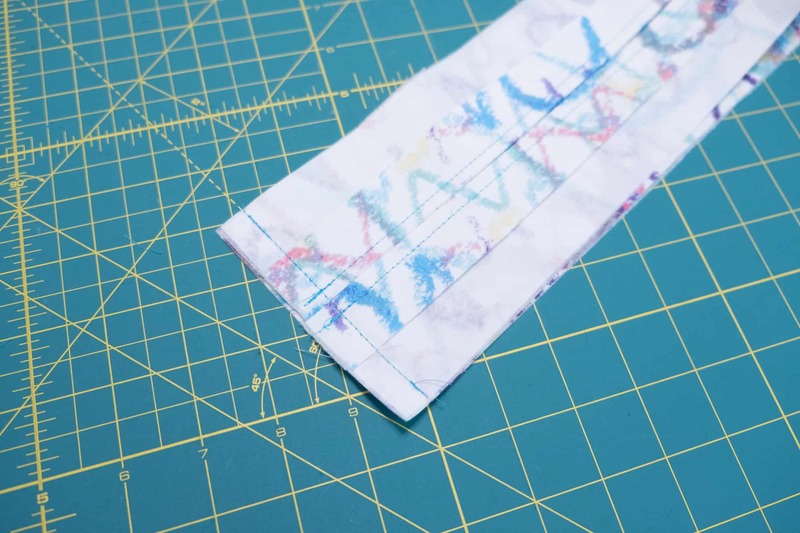 Stitch up to the first mark using a 1 inch seam allowance and a normal stitch length. When you get to the first mark, reinforce well and then increase the stitch length to the longest length possible. Continue stitching along the seam until you get to the second mark. At this second mark, reinforce well and reduce the stitch length back down to a normal length and finish stitching the seam. Press the seam open. 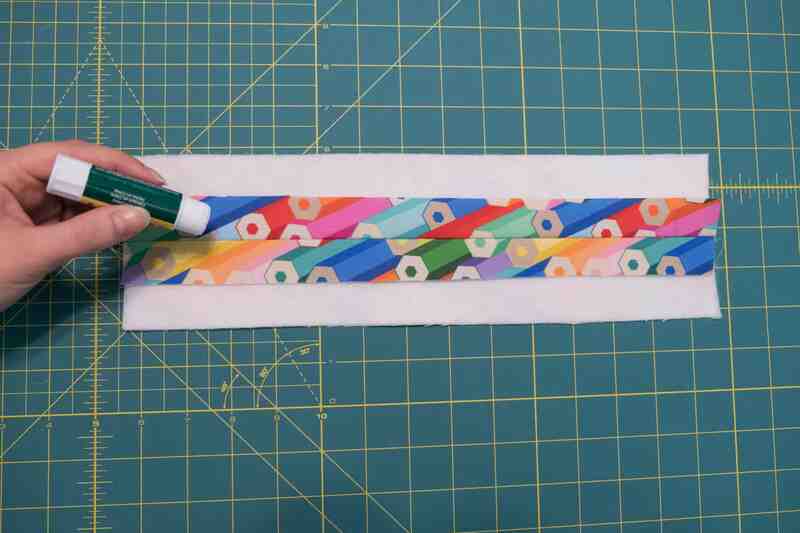 Step 15: On the wrong side of the panel, run a strip of glue or tape along the seam you just created. 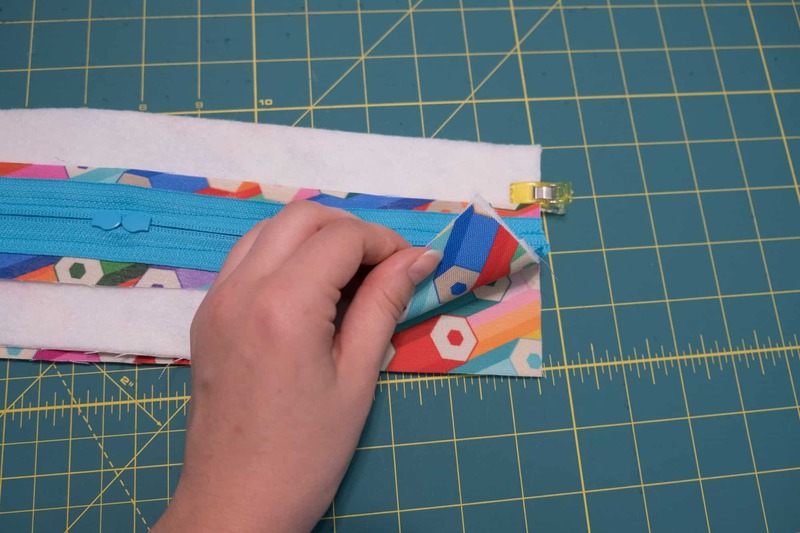 Take the main double pull zipper and lay it facing up on the work surface. Lay the top panel on top of the zipper, lining up the center seam with the zipper teeth. 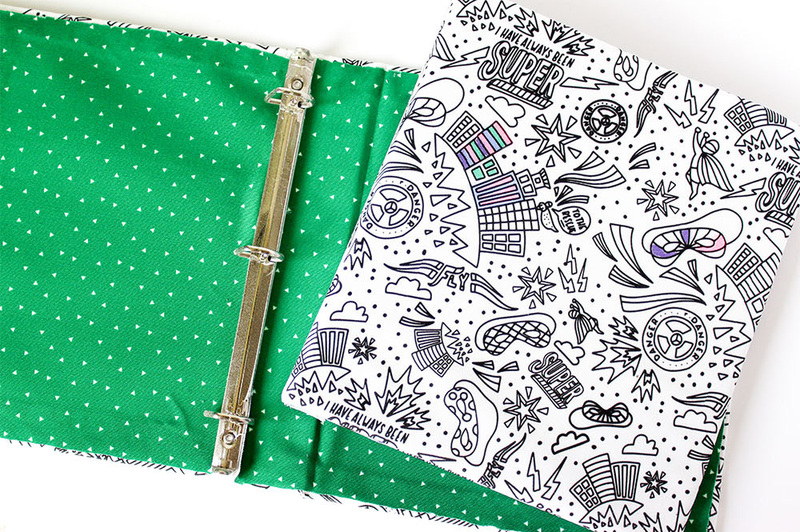 Make sure the zipper pulls are at least 1 inch from the edge of the top panel. Top stitch along either side of the center seam using a ⅛ inch seam allowance. 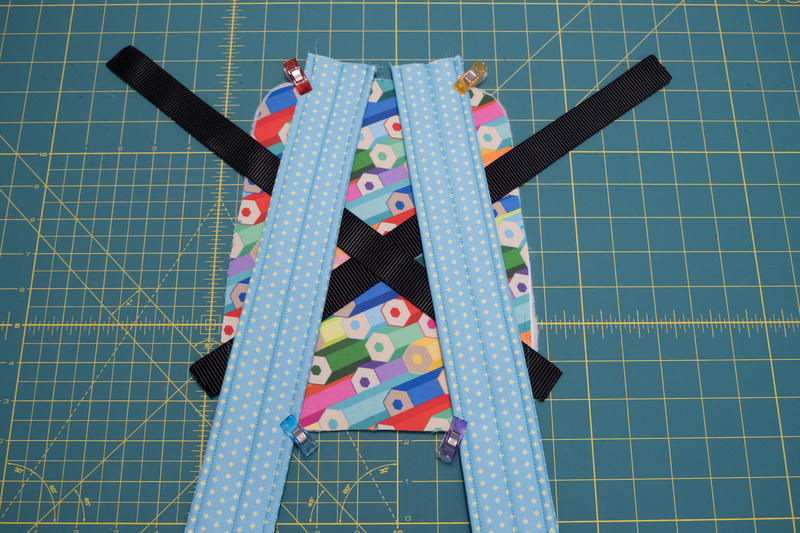 Step 16: Gently push the zipper pulls to the middle of the panel. 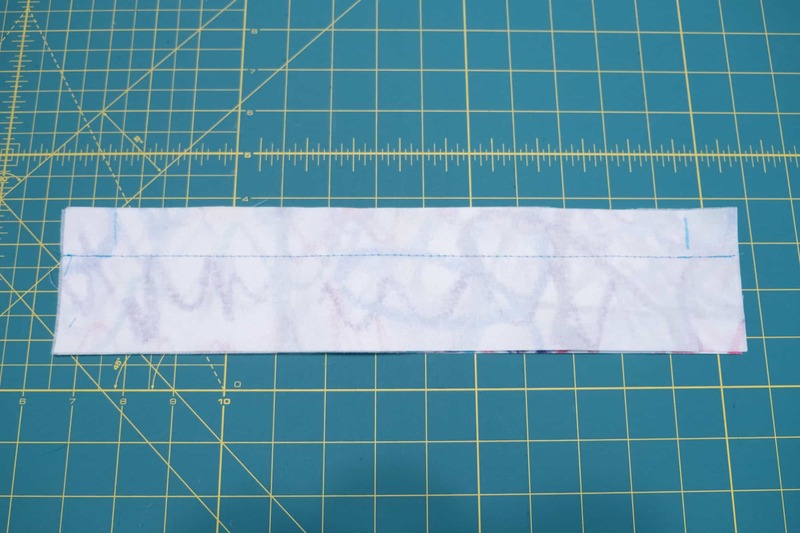 On the right side of the panel, mark and stitch across the ends of the zipper 1 inch in from both short edges, reinforcing well and only stitching between the two top stitching lines you made earlier. Trim excess zipper off either side. 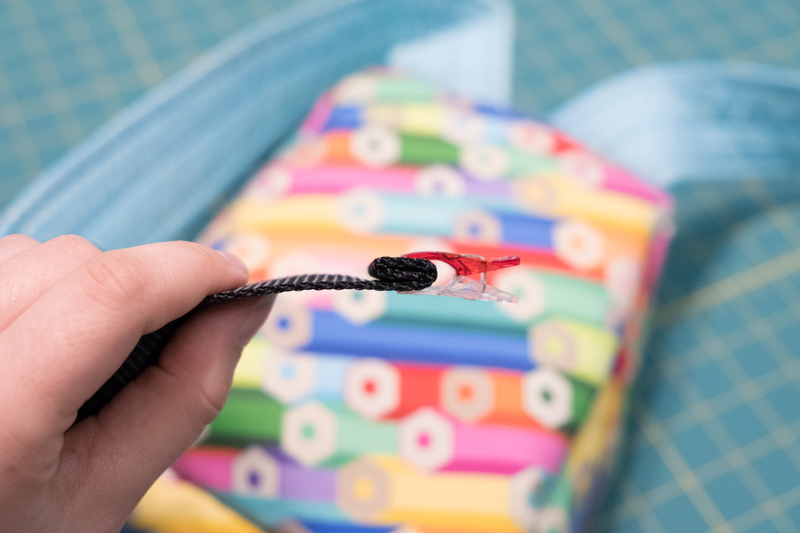 Using a seam ripper, remove the basting stitches from the middle of the panel. Step 17: Lay the top panel on the base panel, right sides together, lining up one short edge. Sew using a ½ inch seam allowance. Trim to ¼ inch. Press seam down and topstitch ⅛ inch from the seam. Repeat this process for the other short edge. Step 18: Line up the strap pieces, right sides together, making sure there is one fleece-backed piece in each pair. 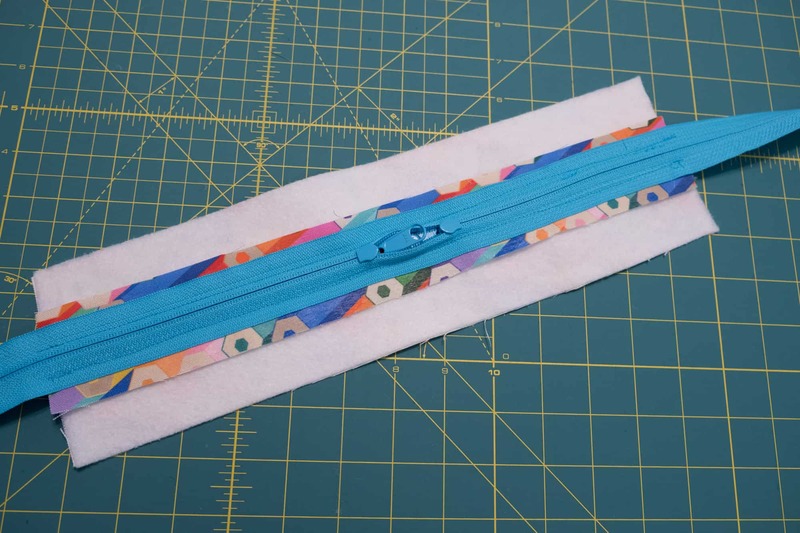 Sew along each long edge of the straps using a ½ inch seam allowance. Trim to ¼ inch. Turn right side out and press well. 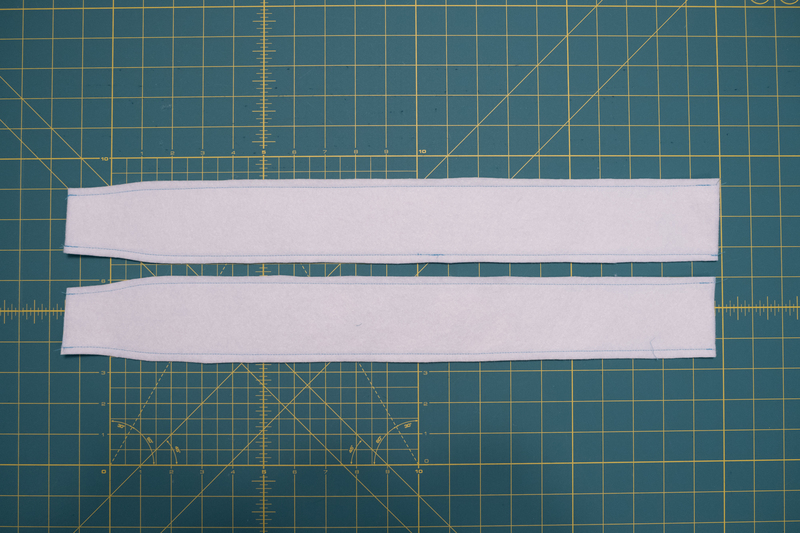 Step 19: At the narrower end of each backpack strap, draw a line on both sides ½ inch in from the raw edges. 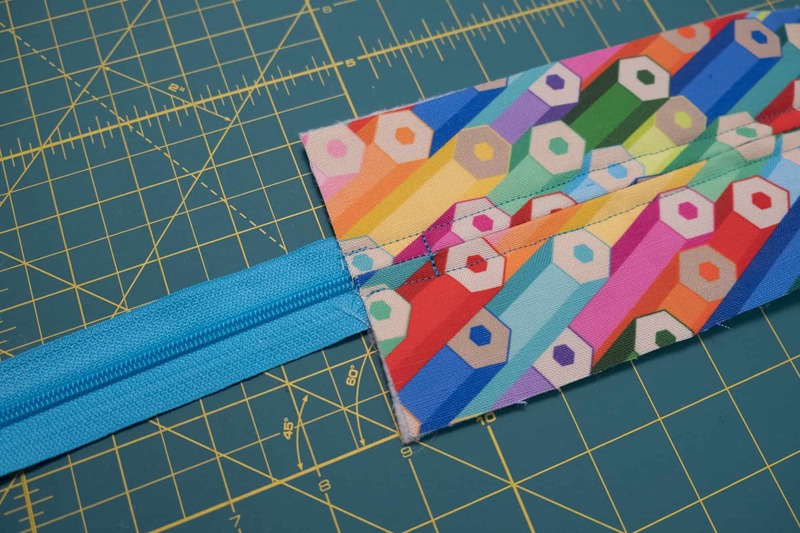 Fold the raw edge of each strap to the inside, so the lines you’ve drawn are tucked just inside the fold. Press well. Cut two 4 inch lengths of webbing. 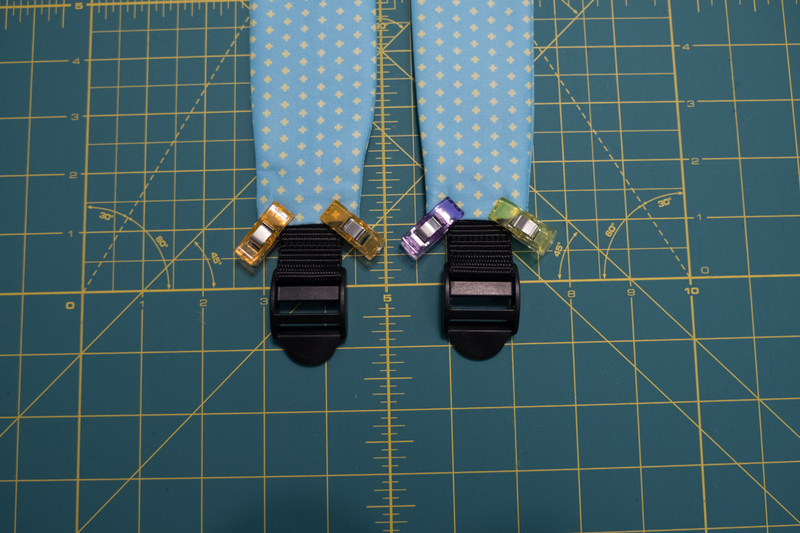 Fold each length in half and feed one through the top of each of the strap adjusters and pin/clip to hold it in place. Stitch across the width of the webbing reinforcing well, approximately ½ inch from the fold, to secure the adjusters in place. Feed each adjustor into each strap. Step 20: Topstitch ⅛ inch from the edge of the strap around the outside, and also down the center. Reinforce well over the webbing. 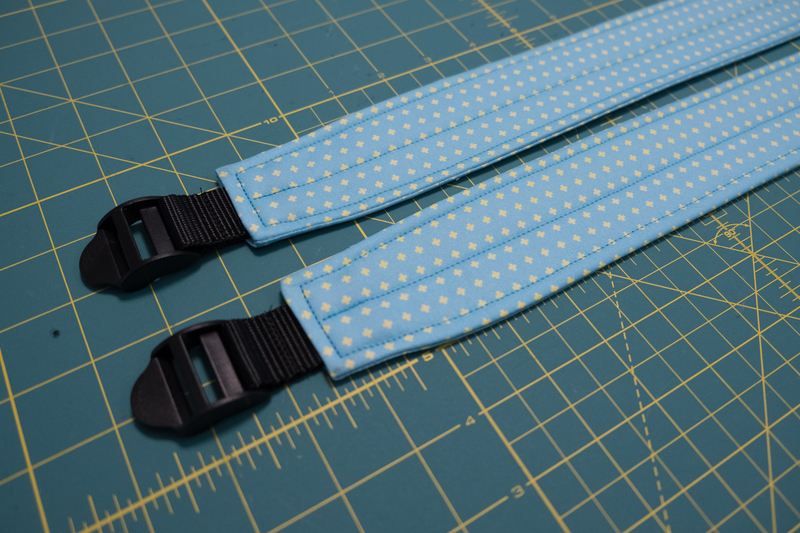 Step 21: Mark the back panel piece and align the straps according to pattern instructions. 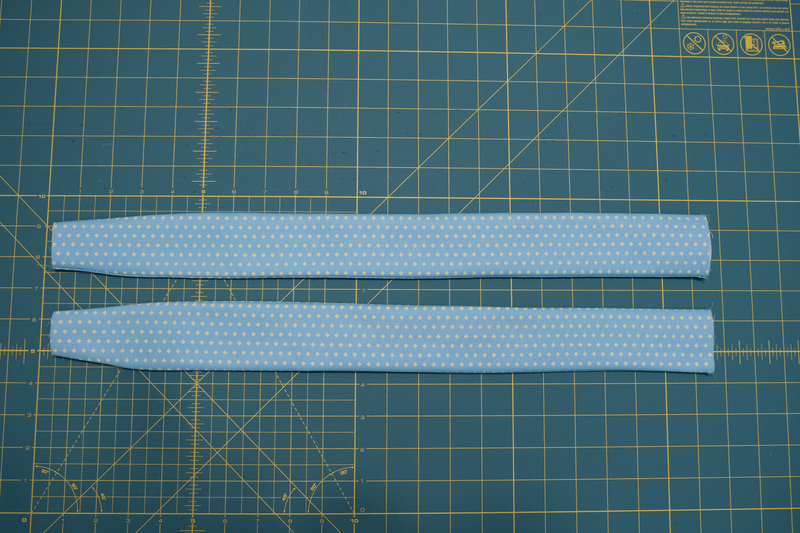 Baste straps in place using a ¼ inch seam allowance. Step 22: Mark the front panel piece and gusset according to pattern instructions. 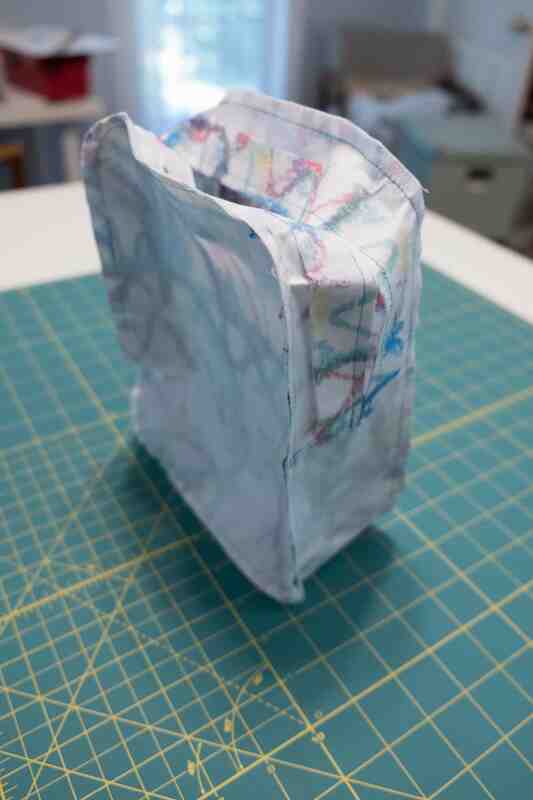 Attach the gusset to the front panel piece in the same manner as the lining ( see Step 8 & 9 ). 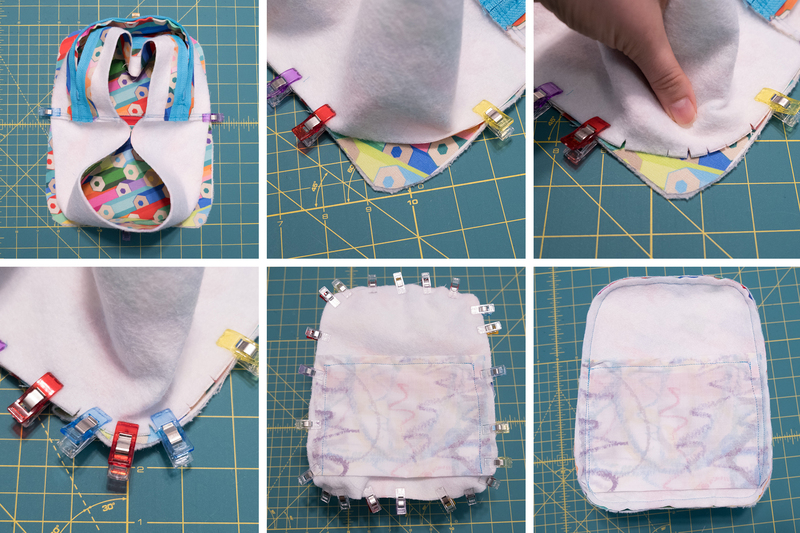 Following the same steps, attach the back panel with straps to the other side of the gusset. Make sure the zipper is open! 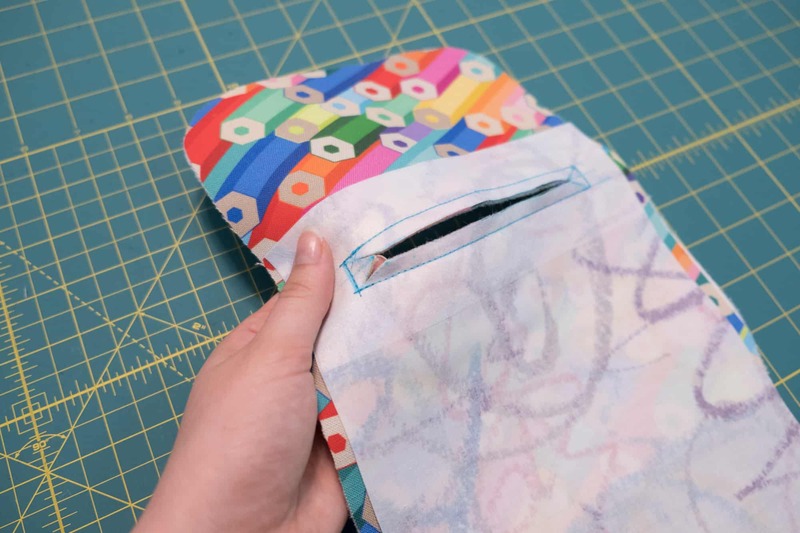 Step 23: Fold back the sides of your top panel on the outer bag and drop your lining down into it, ensuring the wrong side of the lining is facing the wrong side of the outer bag. 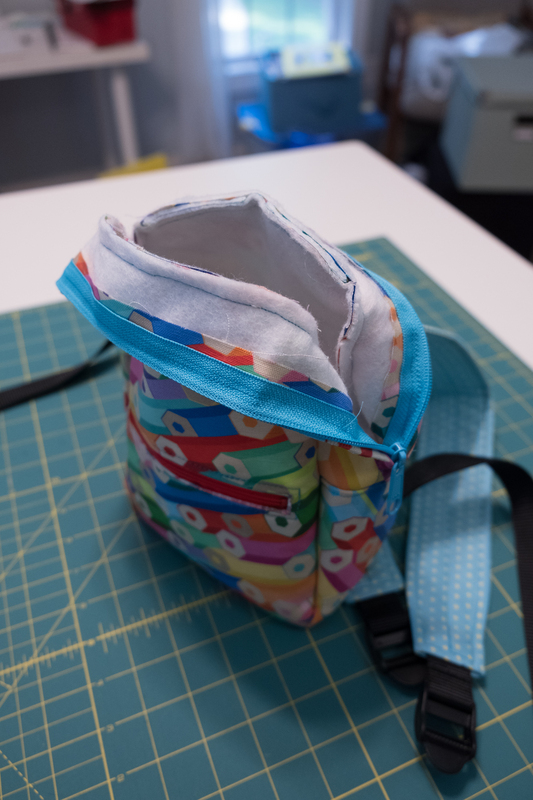 Align the base and front/back panels so the lining sits nicely within the bag. Starting at one side of the bag, match up the side seams of the outer and lining. 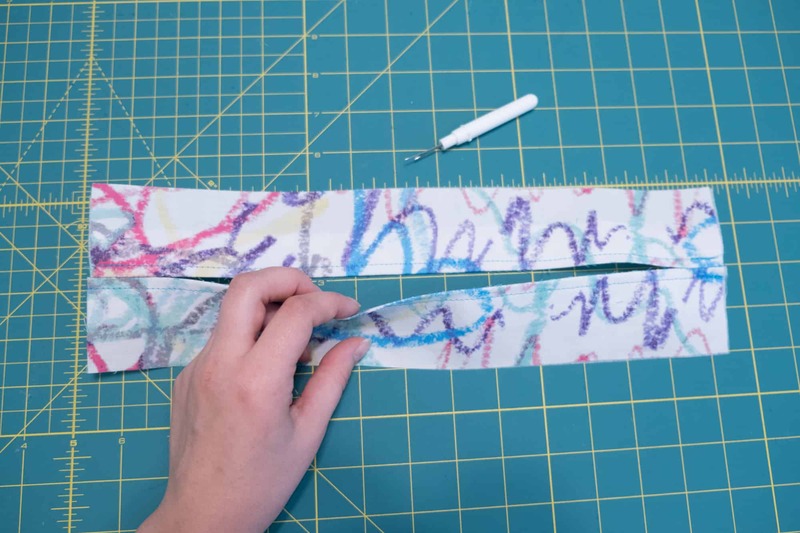 Walk your fingers up to the top corner nearest to the side seams you’re holding and match up the lining seam allowance to the outer seam allowance and pin/clip together. Repeat at the other side seams to match up the outer and lining corners, and clip across the top as well. Stitch along the top edge from corner to corner, to join the lining to the outer. 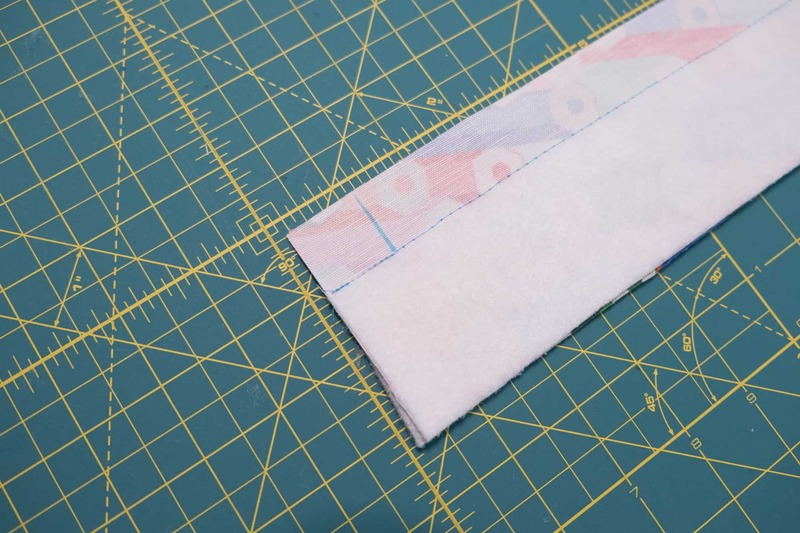 Ensure your stitching stays within the ¼ inch seam allowance of both the outer and lining. Repeat on the other side. 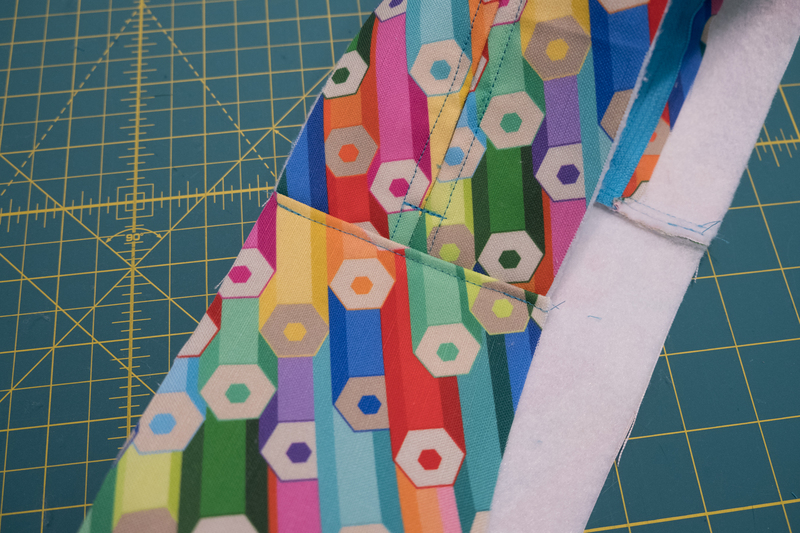 Step 24: Fold back the lining fabric to match the exterior piece. Make sure the lining is ⅛ inch away from the zipper teeth, and pin/clip in place all the way around. Fold the top panel back in the right direction and topstitch along the existing stitch you did previously. I recommend using a zipper foot for this step as it can get finicky. Step 25: Feed the webbing through the strap adjusters according to instructions. 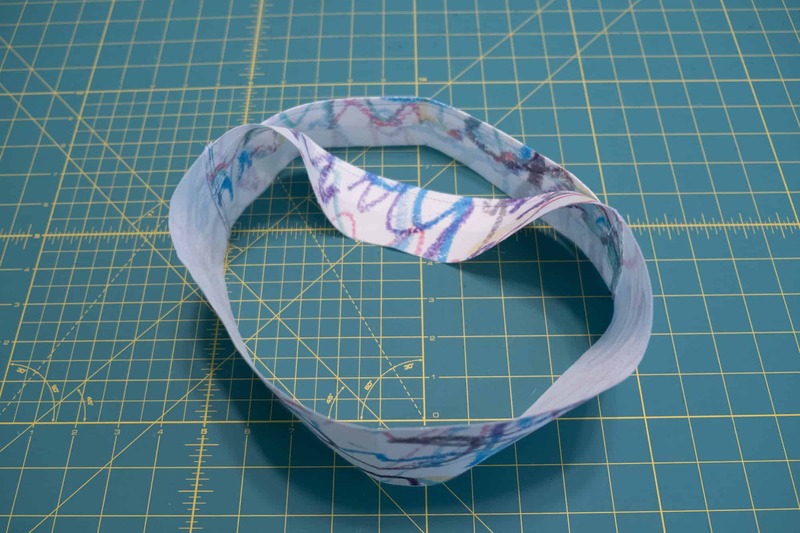 Fold the ends and topstitch. 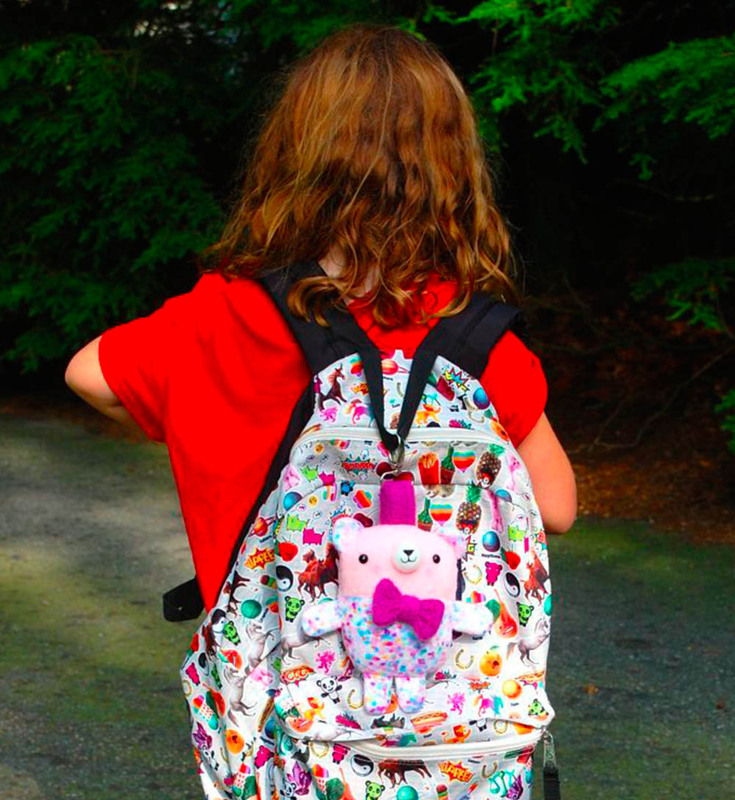 Your little backpack is now done and you’re ready for the first day of school! Ready for more? 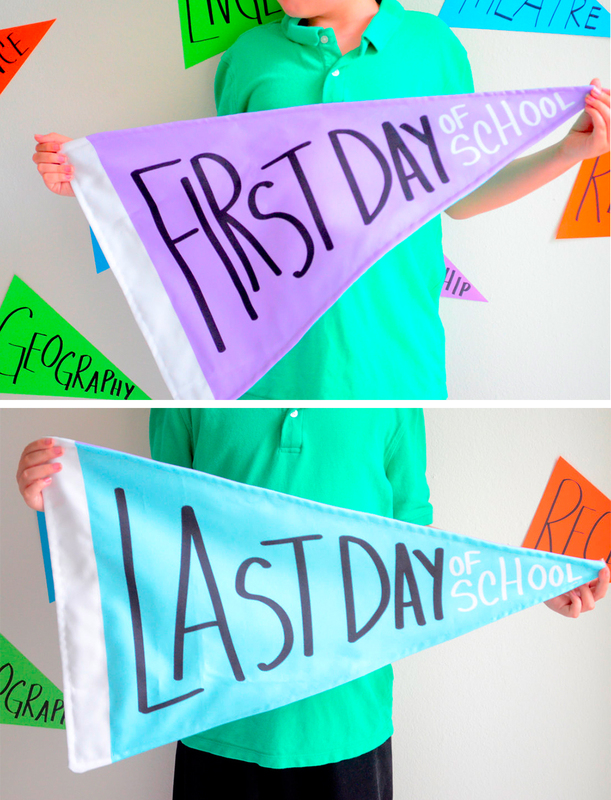 Find 41 more genius back-to-school DIYs here! 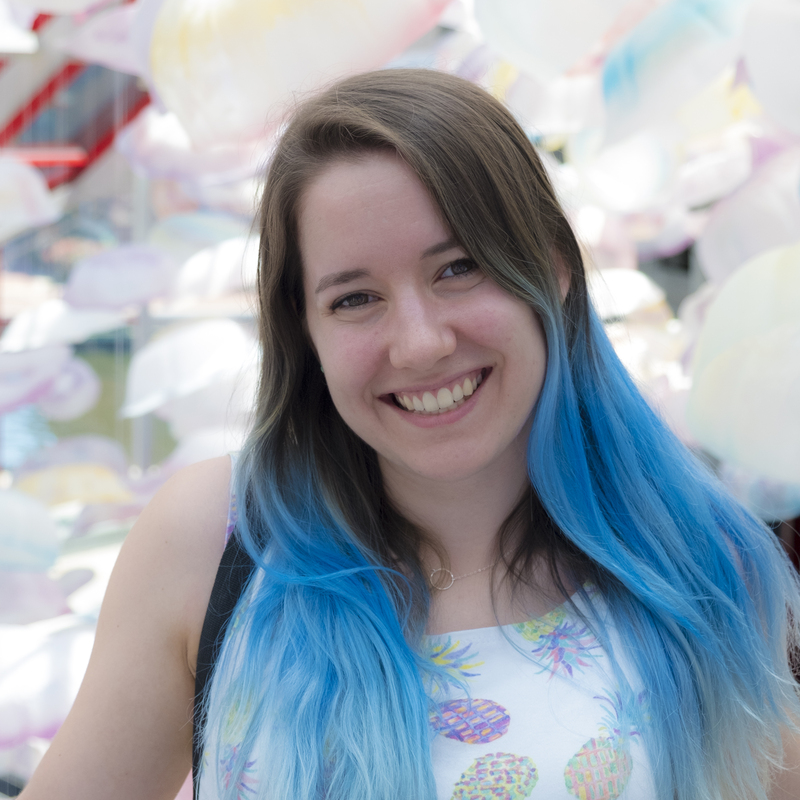 Robin, a former Spoonie, is a graphic designer and crafter living in Raleigh, North Carolina. 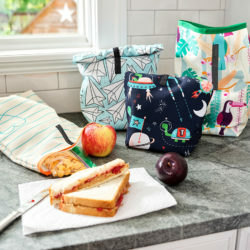 She currently works at a marketing firm in the area, but in her free time, Robin loves to work on improving her surface pattern design and sewing skills. 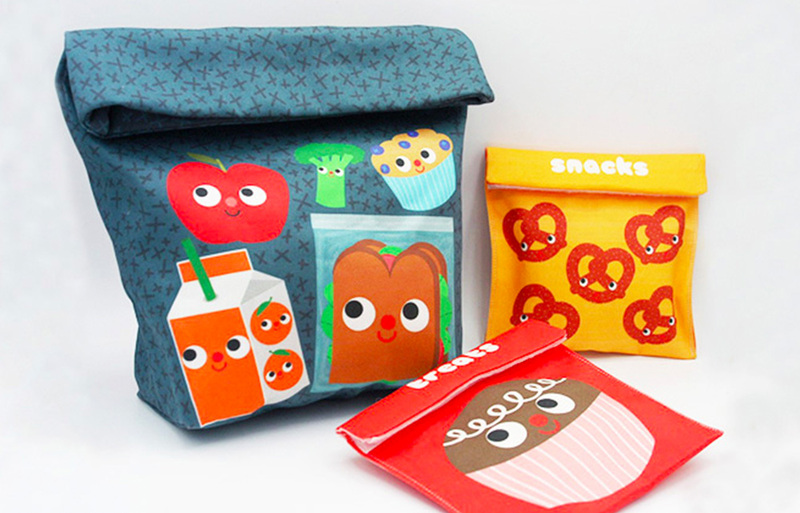 Check out Robin’s designs on Spoonflower, and her Etsy shop of handmade geeky goods!